Today, I’m taking part in the Travelodge #FlauntYourHaunt campaign and I’m going to share what I love about my home city. I’ve lived in Bath for sixteen years now, but not a day goes past that I don’t count my lucky stars that I ended up in this incredible place! 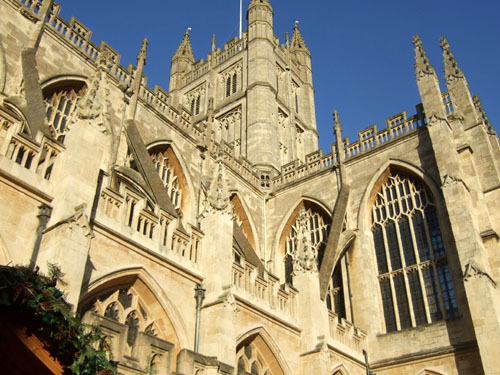 So what makes Bath so special to me? 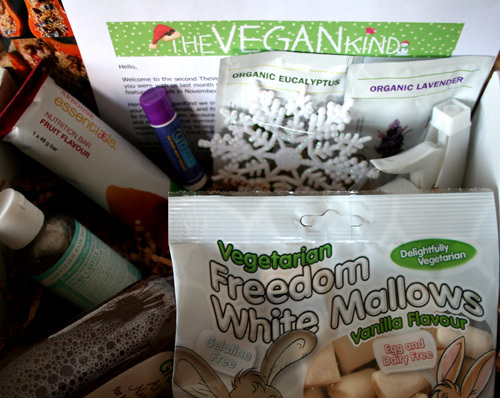 It’s so much fun getting surprise gifts, and the fact that this box is filled with vegan, planet-friendly, cruelty-free products, means it couldn’t be more perfect for me. TVK has introduced so many amazing brands to me these past 12 months. Snacking moved onto a whole new level of deliciousness, thanks to Landgarten’s dark-chocolate covered raspberries, seeds and nuts, Propercorn’s Sweet and Salty Popcorn and Hoots Pickled Onion snacks. 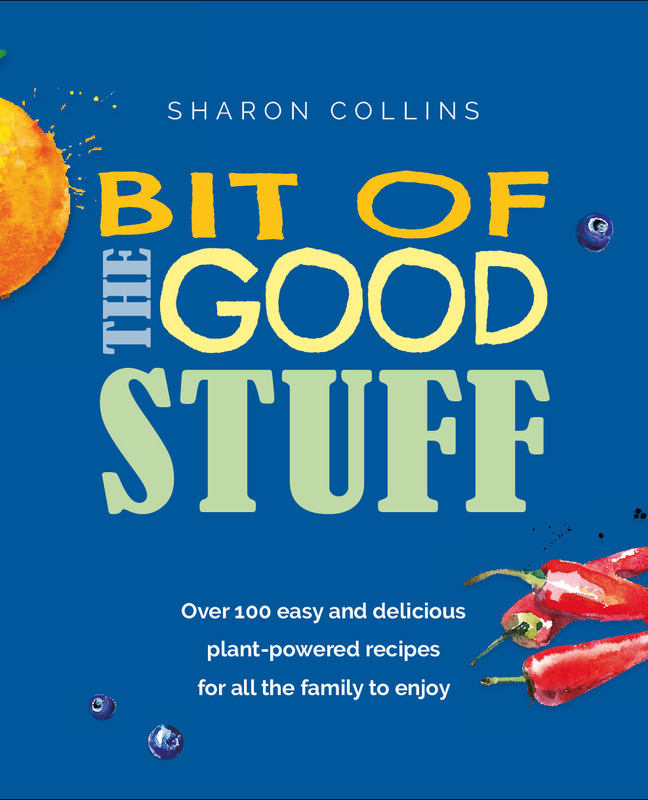 As well as the snacks, I’ve loved experimenting with the ingredients and spice mixes. 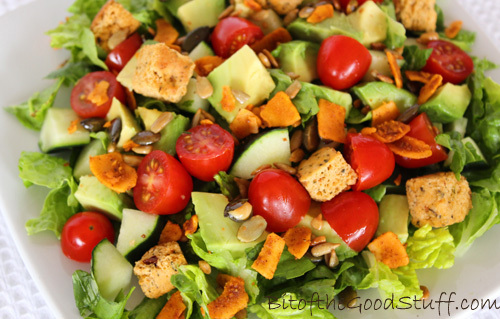 The Coconom Coconut Sugar in TVK6 and Mr Organic Sun-Dried Tomato Pesto in TVK8 were particular favourites of mine. The recipe cards have been awesome too. I love how they’re printed on quality, wipe clean card and come with a handy storage binder. 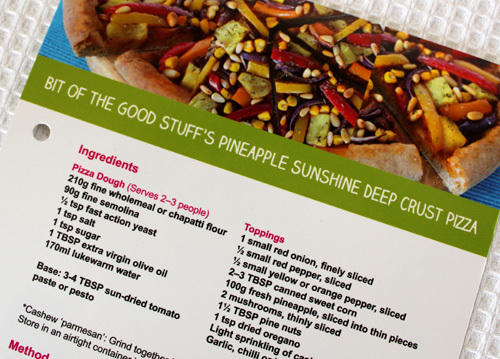 I was more than delighted to share one of my family’s all-time favourite vegan pizza recipes in TVK8. The TVK boxes are not all about food though. They also include toiletries, beauty, personal care and household products. In TVK2 we received a full-size bottle of Greenfrog All Purpose Natural Cleaner. Its neroli scent is so lush that I actually look forward to cleaning my kitchen and bathroom now. It’s been a real privilege to share in TVK’s first year. And what an incredible journey it’s been! 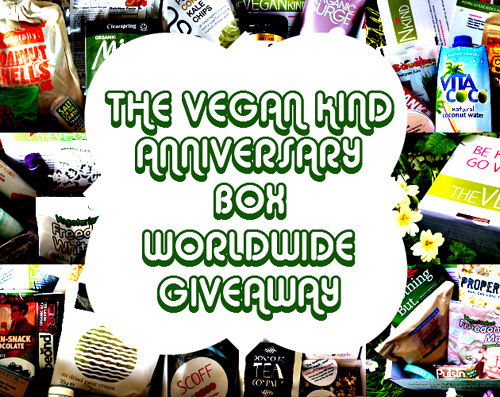 From starting in their kitchen, sending out a couple of hundred boxes in the UK, they moved to warehouse premises where they now mail out thousands of boxes worldwide! Did anyone see the video footage on Instagram of the boxes stacked floor to ceiling? Honestly, my jaw dropped! 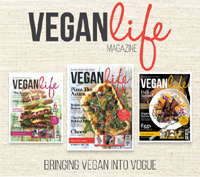 Whether you’re already vegan, just starting out, or simply curious to find out more, the TVK community is a great place to connect with like-minded folk. You’ll find them on Facebook, Twitter, Instagram and Pinterest. 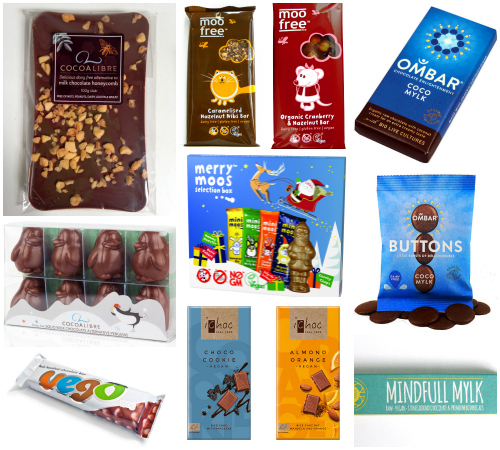 The market for tasty, healthy snacks and dairy-free alternatives seems to have exploded this year! Honestly, every time I visit the supermarket the ‘free from’ aisle seems to grow bigger and bigger! 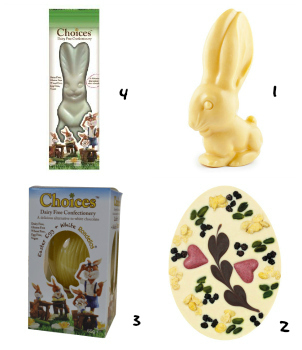 I love checking out new products and sharing my favourites with you in these posts. I also love to hear about your new discoveries so please do share them in the comments section below. I’m always on the look out for new things to try! Ombars are no ordinary chocolate bar. They’re made with raw organic cacao which not only gives them rich flavour, but also means that each little bar is packed with antioxidants and minerals. 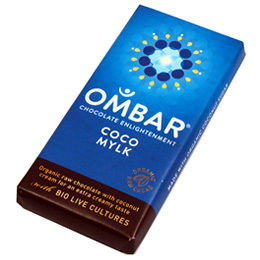 The bars are gently sweetened with organic coconut sugar (perfect for me as my body tolerates cane sugar less and less well these days) and some of the bars, like the Coco Mylk and Strawberries & Cream, also include probiotics (‘friendly bacteria’). I’ve loved all the flavours I’ve tried so far but my absolute favourite has to be Coco Mylk. 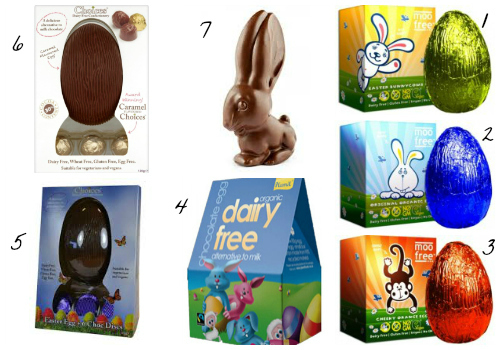 With its creamy flavour and melt in your mouth texture, it’s like a high quality milk chocolate, yet its 100% vegan. While the bars might seem pricey for their size, the chocolate is incredibly satiating, so I find that a little goes a long way. 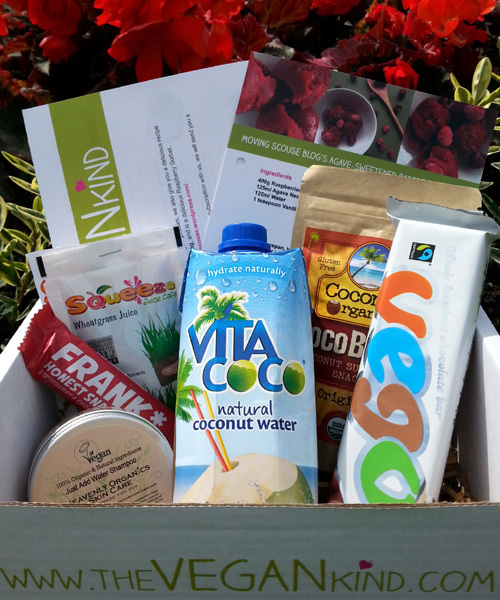 Since Coco Mylk is my favourite flavour, you can imagine how delighted I was to find a bar in my latest TVK Box! 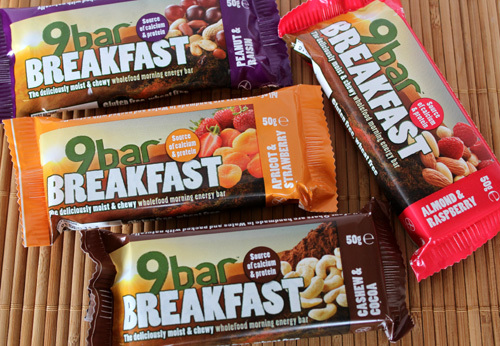 Ombars are currently available in the UK in independent health food stores and online. Lil’ L and I had never tried sweet and salty popcorn before, so when a packet arrived in our August TVK box, we couldn’t wait to tuck in! We were amazed at how well the flavour combo works, and loved how the brown sugar coating gave the popcorn a light ‘crunch’ as you bit into it. Since Lil’ L discovered that Waitrose sells Propercorn, a family size bag seems to magically appear in my shopping basket every week. 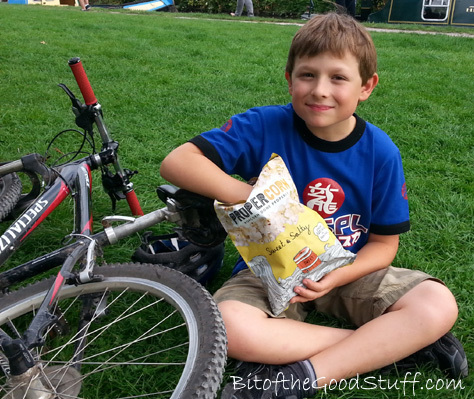 It’s his favourite treat for movie nights and, since it’s so light, he also likes to stash a bag in his backpack for school trips and biking adventures. 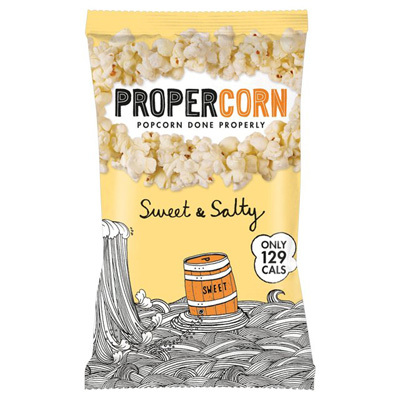 Propercorn individual and family bags are currently available in Waitrose; individual bags are available in Tesco. 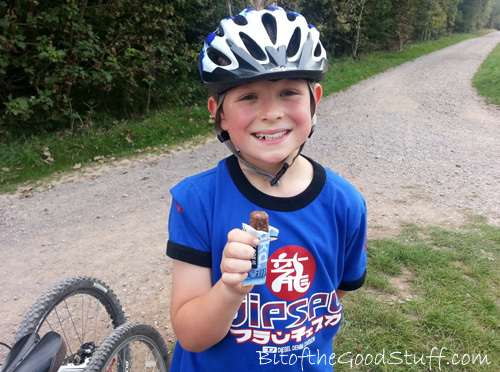 My family are big fans of Nakd bars and I like to keep a stash in backpacks and handbags for snacking on the go. 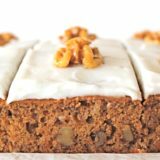 I love how they’re made of 100% natural ingredients (basically raw fruits and nuts squashed together) with no added sugars, syrups or oils. 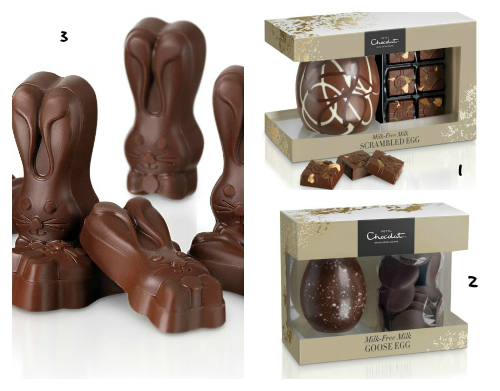 They come in nine flavours and there are three in particular that I absolutely adore – Cocoa Orange, Cocoa Mint and Caffe Mocha. The packaging’s really cool too! In the shops, you can buy individual bars and four bar multipacks. Selection boxes are also available from the Nakd website. 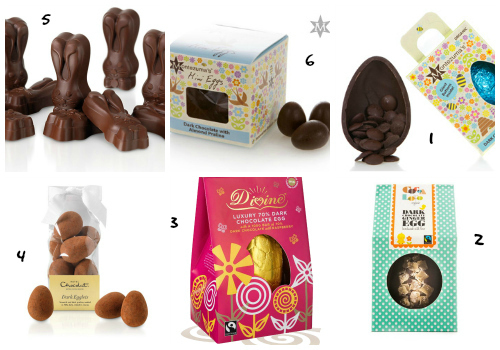 I love the ‘Find Your Favourite’ box which has one of each bar in the range. 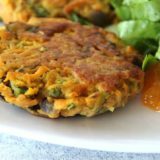 It makes a yummy treat for health conscious friends. 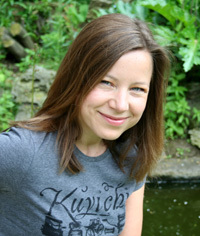 I recently sent one to a friend that was going travelling as a ‘bon voyage’ gift. 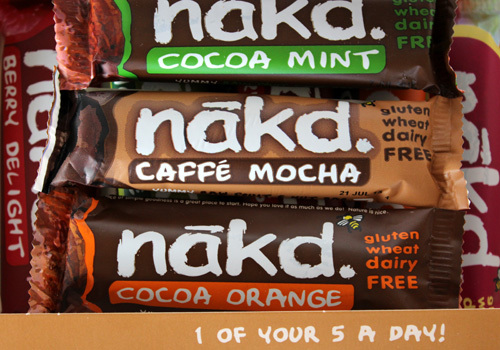 You can get great deals on Nakd bars in the UK supermarkets, so I stock up whenever I spot them on offer. This month, Waitrose are offering two bars for £1 and two multipacks for £4. 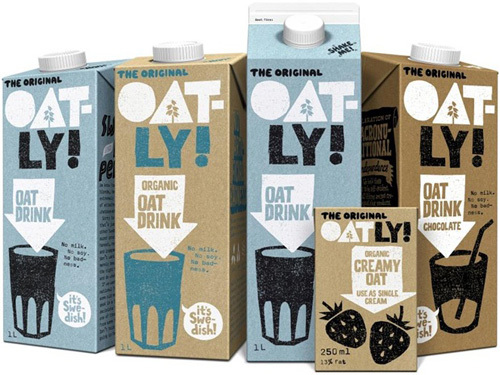 I’ve only recently discovered the Swedish company Oatly, but they’ve been making oat drinks since the early 90s. In Sweden, Oatly is the number one milk substitute, and they’re rapidly growing in popularity here too. There are currently five Oatly products available in the UK. 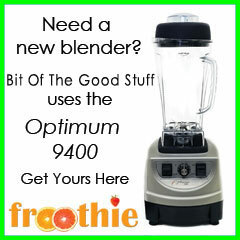 The Organic ‘milk’ only has three ingredients – oats, water and a little salt. For those that prefer fortified ‘milks’, the one in blue packaging comes fortified with calcium and vitamins D2, riboflavin and B12. 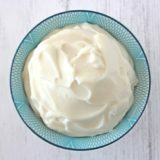 There’s also a dairy-free alternative to single cream called ‘Organic Creamy Oat’, which is perfect for drizzling on desserts and can also be used for cooking. 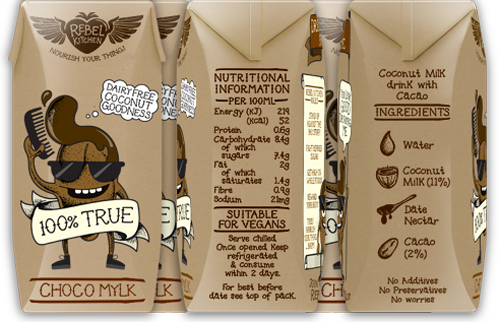 Oatly has recently had a re-brand and the new packaging is really cool! The Oatly ‘milks’ are available in most major UK supermarkets, and the cream alternative is currently available in Tesco and Waitrose. Since they have such a long shelf life, I like to stock up on the UHT ‘milks’ when they’re on offer. Both Waitrose and Sainsbury’s are currently offering multibuy deals (3 for £3; 2 for £2). 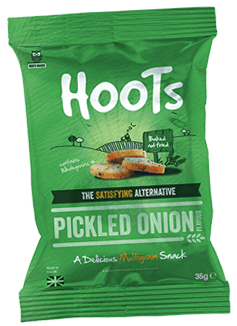 We first discovered Hoots through the September TVK box, and were delighted to meet the team behind this delicious snack at London VegFest last weekend ♥ Hoots sell a range of oven baked snacks made of wholegrains and mixed seeds (all free from added colours, flavours, preservatives and MSG). The pickled onion flavour is lush! 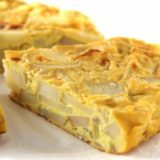 For me, it tastes like a healthy version of my favourite childhood junk food – Pickled Onion Monster Munch! 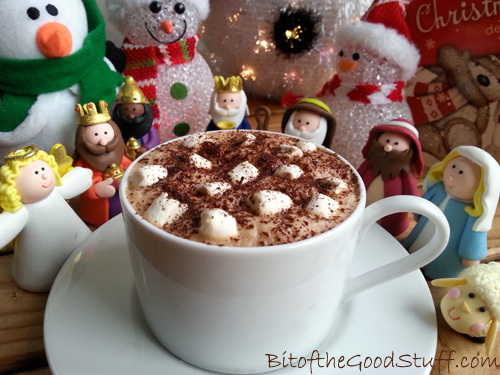 Lil’ L loves them too, and has enjoyed taking them to school and on trips as a ‘treat snack’. 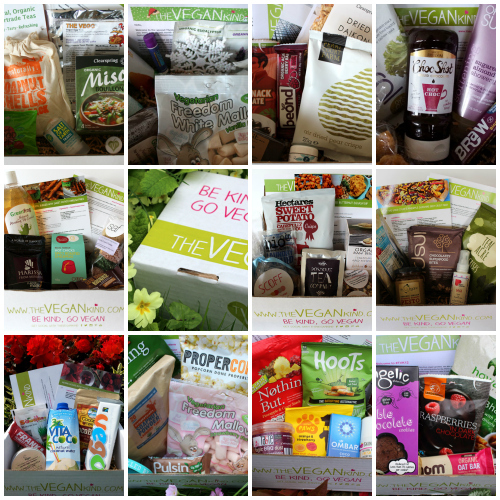 Over to you, lovely readers ♥ Have you discovered any new yummy plant-based products lately? In today’s post, I thought I’d take a break from home cooking and share my latest favourite store-bought snacks. Like most families, we don’t always have the time to create all our food from scratch, so I like to keep a stash of ready-made snacks and treats in the pantry. 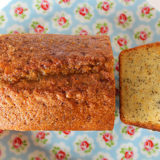 They come in really handy when we’re heading out for the day or travelling, as well as for serving at impromptu coffee mornings and play dates. All the goodies I’m featuring have recently been launched, so I’m very excited to be sharing them with you today! 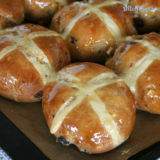 In my opinion, they are easily as good (if not better!) than my home-made snacks. 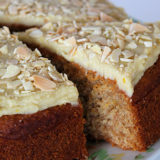 They’re all filled with whole food ingredients, contain no junk, and taste totally scrummy. 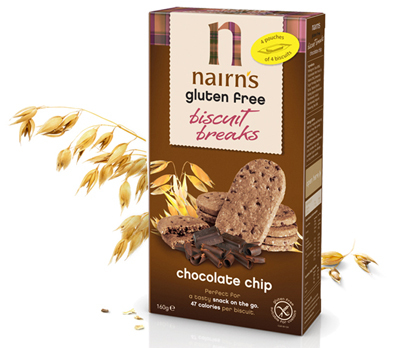 Oh and they also happen to be both gluten free and dairy free! 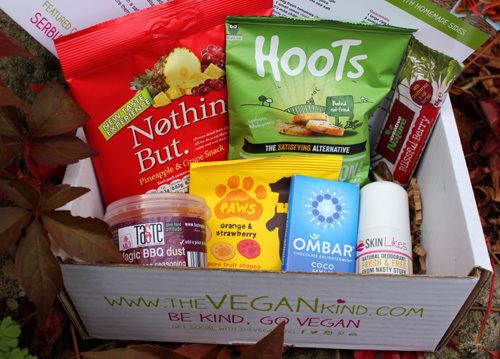 The Vegan Kind April Subscription Box arrived the day before our trip to Lanzarote and when I spotted the chocolate-covered roasted soya beans, I knew they’d make the perfect snack for the journey. As soon as I found my seat on the plane, I ripped open the packet and started tucking in. 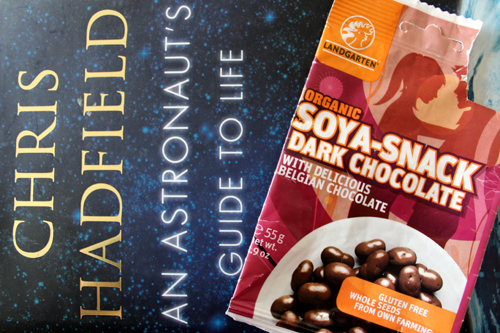 The packet is a pretty substantial size, but I was so absorbed in my holiday read (Chris Hadfield’s An Astronaut’s Guide to Life on Earth) that, before I knew it, I’d scoffed the lot! I’m a bit of a fan of the Landgarten goodies. 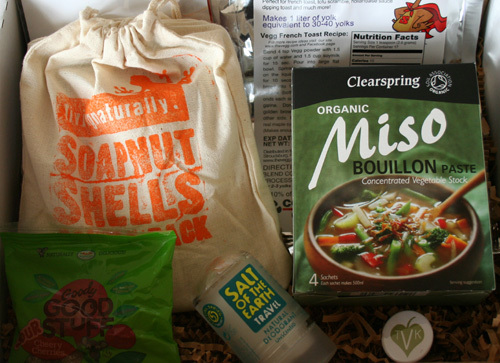 I featured their chocolate-covered pumpkin seeds in my January ‘Stuff I’m Loving’ post. I think I love the soya nuts even more!